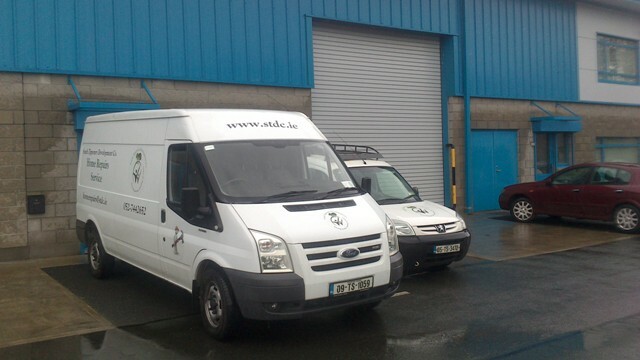 South Tipperary Development Company has rolled out its Home Repairs service in early 2012. With quality tradespeople supplied through the Tús Programme, the company can offer assistance to home owners with many jobs around their homes. From painting to plumbing, from carpentry to gardening the company can supply the right person for the right job. When a person has a job that needs doing, they contact the company (see below) and arrangements can be made for an assessor to call out, at a convenient time, to view the job and let the person know what materials would be needed to do the job. To be eligible for the Home Repairs Service the individual must be in receipt of the Department of Social Protection Fuel Allowance. Applications for the Home Repairs Service can be made directly to South Tipperary Development Company. Referrals can also be made via local and national bodies such as the Dept of Social Protection, HSE, St Vincent De Paul, Meals on Wheels, Irish Red Cross Society and others. What is the STDC Home Repairs Service? South Tipperary Development Company (S.T.D.C.) Home Repairs Service is offering an affordable home repairs service to eligible persons. It is intended that costs will be kept to a minimum. To be eligible for the S.T.D.C. Home Repairs Service the property owner or tenant must be in receipt of the Department of Social Protection Fuel Allowance. Applicants for the Home Repairs Service must provide evidence of eligibility for the Fuel Allowance. Once an applicant is considered eligible to avail of the Home Repairs Service an Assessor will arrange a home visit and discuss the details of the service being provided. The Assessor will also be available to answer your questions. After the initial home meeting and provided the client is happy to proceed the Assessor will carry out a survey of the works involved. This will entail taking measurements, some photographs if necessary, any information required to provide the client with a detailed cost analysis. After gathering all the information necessary the Assessor will return to the office and carry out a detailed cost analysis of the project. On completion of the cost analysis the Assessor will make a second visit to the applicant’s home and discuss the details of the Analysis. At this stage if the Client is not happy with the analysis provided they may decide not to proceed with the proposed works. The Client is responsible for the cost of all materials required to carry out the project. Where possible South Tipperary Development Company will supply all the tools and equipment required but where specialist tools and equipment may be needed the Client will be responsible for the hire costs. The Agreement is a signed document between the Client and South Tipperary Development Company Home Repairs Service. The Agreement will outline the works being carried out and the costs involved. Prior to payment the completed works as specified in the Agreement will be approved by the Assessor. If the Client has any queries regarding the works or the standard of such works the Assessor will ensure that everything possible is odne to rectify same. Applications for the Home Repairs Service can be made directly to South Tipperary Development Company (see details below) or by referral via any local or national bodies such as the Department of Social Protection, Health Service Executive, St. Vincent De Paul, Meals on Wheels, Irish Red Cross Society etc. All applications will be assessed on an equal basis. For more information please call (052) 7442652 or email homerepairs@stdc.ie.